Gone are the days when just carrying a credit card was enough to satisfy consumers. Customer appreciation incentives have advanced far past giving out toasters and calendars. There’s now a “what have you done for me lately” mentality among people who pack plastic in their wallets to buy goods and services. Credit card companies are in constant competition to reel in customers, which translates into greater profits with each new card issued. But lower interest rates and no annual fees are just the beginning of the draw. Today’s super credit cards offer paybacks for their usage in the form of rewards like cash back, travel miles, and bonus points. Millions of savvy borrowers take advantage of the race to win among credit card companies. As such, credit card users not only enjoy lower interest rates but are rewarded with perks that can add up to a lot of money if they know the rules. Rule #1: Consumers should not apply for a card just because it is offered. The key to rewards program success is to wind up getting the best incentives for as little effort or money as possible. This includes passing on cards that won’t get used because of no interest in the subject (as in airline credit cards for people who don’t board airplanes). Rule #2: Letting points or other rewards expire is counterproductive to the game. Users should put reminders in place to avoid wasting precious points. Credit card issuers are in business to make money like every other company. They get the interest on a card whether the reward is redeemed or not. Rule #3: Borrowers should stay alert when it comes to getting credit cards that offer rewards based on how much is charged on the card in a certain timeframe. This can lead to overspending, especially for a newbie credit cards rewards player. Rule #4: Credit cards that are in the same category will offer different rewards depending on the company. Consumers should still compare similar cards even when offered one that fits in with his lifestyle and interests. Rule #5: The very best incentive to use a credit card is if the company offers cash or cash back. Credit card holders should shoot for these cards first-but only if they follow rules 1-4. The next topic will explain how cash rewards work. It also contains other information and statistics that provide further insight into this game changing incentive. Several credit card surveys rate cards that offer cash rewards as three times more popular than other incentives. Consumers prefer cash mainly because the money that is earned can be used anytime and anywhere, unlike industry or product specific rewards. The amount of the reward is applied as a cash credit on the consumer’s account to use for purchases at online merchant partners with the company. As a check or direct deposit to the customers’ bank account once the reward reaches a certain minimum amount. The cash back can be applied toward the account balance as a payment after a minimum is reached (usually $25.00). Any one of these scenarios is a free financial bonus. Borrowers who play the credit card rewards game successfully make it a habit to stay on top of the latest credit card rewards and reviews, which are easily found on the Internet. As discussed, credit cards with some of the same features still have different incentives, so comparison shopping is a must. Cardholders can rack up big points using a card that awards points for purchases. With this type of card, it is so important for the borrower to choose one that fits their lifestyle and interests since each dollar usually gains one point. As an example, a budding chef can get a nice bang for their buck with a credit card that earns points at grocery stores, restaurants and retail cookware establishments. Let’s assume this person purchases $300 in foodie items with their card. They will be rewarded with the same amount to spend again at no extra cost. Another option is to redeem points for gift cards; many retailers will take off an additional 10 or 20 percent from the gift card price. 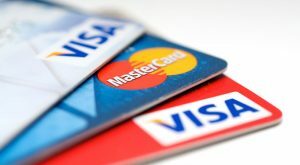 Hotels and auto rental companies also issue rewards cards (separate from credit cards) to which points are added for cash off of additional stays or rentals. This same principle of points rewards (also called customer loyalty cards) are utilized in other industries such as grocery stores, nail salons, and car washes. 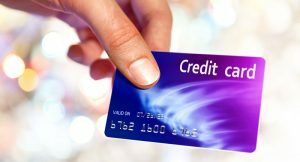 Although the cards they offer are not a credit line, they do give the customer a way to build up points that can lead to savings with future purchases. Frequent air travelers use travel miles reward cards almost exclusively. The rewards are based on how many miles are traveled; that number varies depending on the credit card. Again, shopping around can find the credit card travel rewards program that earns the most miles. The consensus is that the best travel miles card is one from an airline that flies out of the cardholder’s local hub. It is understood that credit card companies offer incentives to get and keep more customers. In return, customers get free money, goods, and services. In the credit card reward game, the main catches are to stay alert and know the rules. Some rules are subtler, such as the differences between tiered rewards and flat rewards. Tiered rewards earn greater incentives when more money is spent. They also come in the form of categories where rewards are earned at different establishments only during certain months in the year (as in earn points for buying gas in January, food in February, etc.). Cardholders must remember to register for seasonal points; the card company sends a reminder. Flat rewards earn cash or points anywhere and anytime. The best programs are offered to people with higher credit scores. Consumers with bad credit should make sure any rewards program offered is worth accepting. Borrowers should avoid racking up too many credit cards just for potential rewards. Each card borrowed does charge interest; it is tempting to use them and wind up owing more money than any incentive is worth. Most cardholders are not aware that if a credit card payment is missed they forfeit the rewards they’ve earned. Free cash and merchandise can add excitement and savings to credit card usage. But getting so caught up in their pursuit can lead to bad credit and far too much debt. But consumers all over the world do enjoy the thrill of winning at the credit cards reward game. The top three things to remember are to comparison shop, read and re-read fine print, and keep an eye on credit card balances in order to score big. Game on!